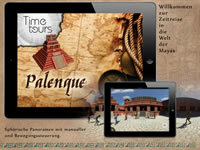 Travel back in time to the golden age of the Maya with 'TimeTours: Palenque'. TimeTours is not just a typical guidebook. 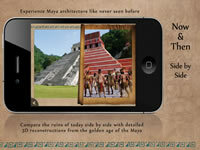 Instead, this virtual trip through time brings the past back to life using modern 3D reconstructions. The Now & Then time windows let you experience what the city looked like when ball games and human sacrifices were performed here. The new 'Now & Then & ...' bring the time of the rediscovery alive.. 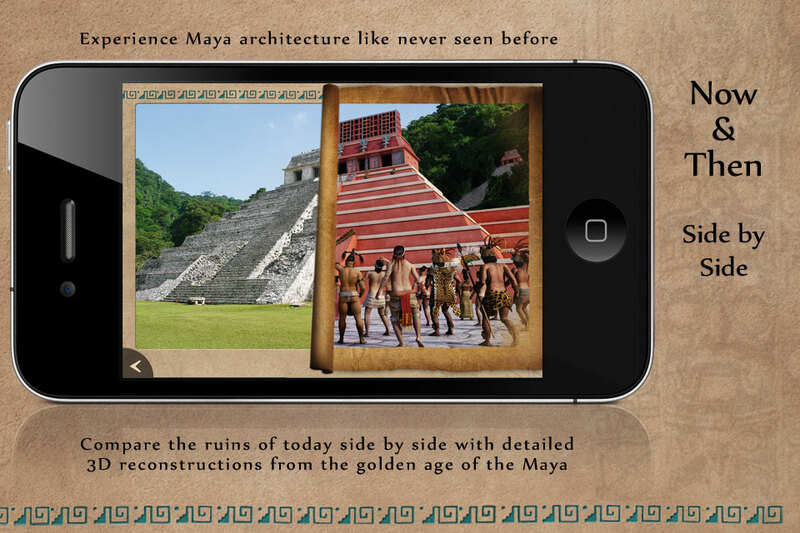 The spherical panorama views put you right into several important locations of ancient Palenque using the built-in compass feature. 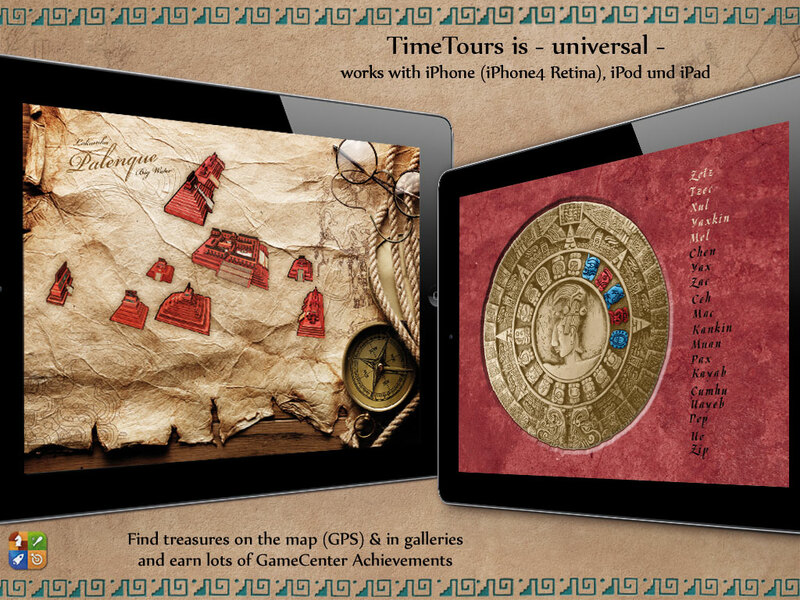 Use TimeTours at home or in your hotel and browse through a wealth information and media while listening to Mayan rhythms. The music was created by David Kneupper, the composer for a popular Maya Jump&Run game. 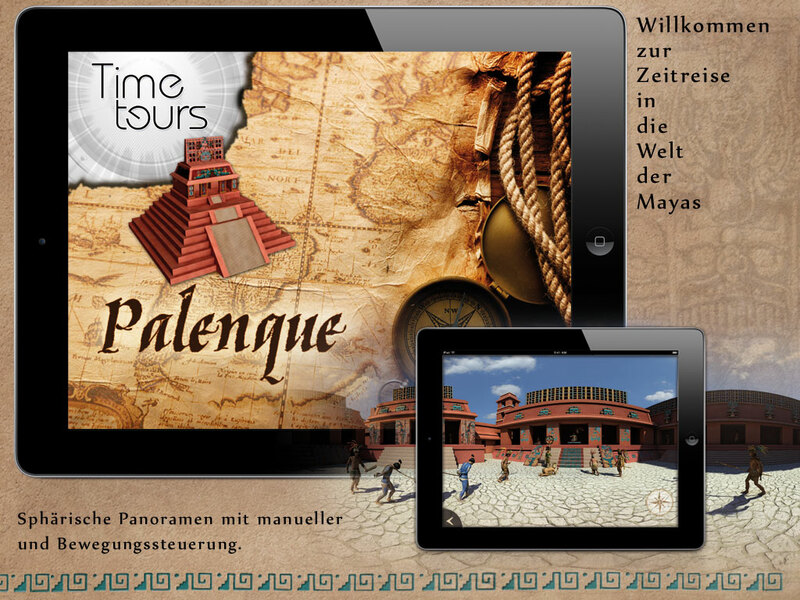 TimeTours: Palenque is -universal- (offering iPhone 4 Retina resolution) - once bought it can be installed on all devices (iPhone, iPad, iPod) and the technical features of each are fully used. 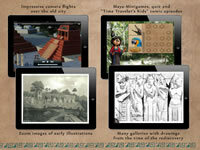 TimeTours is an ongoing project and will be updated with the latest findings and excavations. 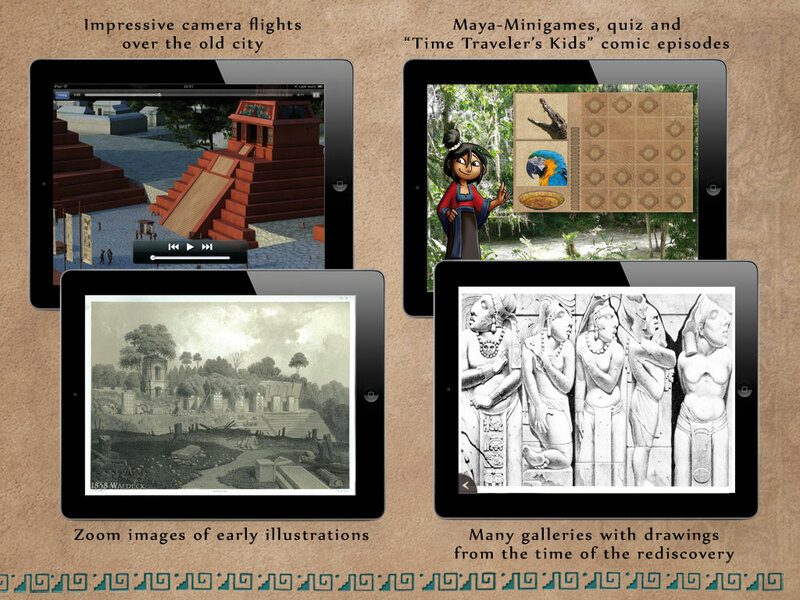 One new maya themed mini game will be added with every content update.